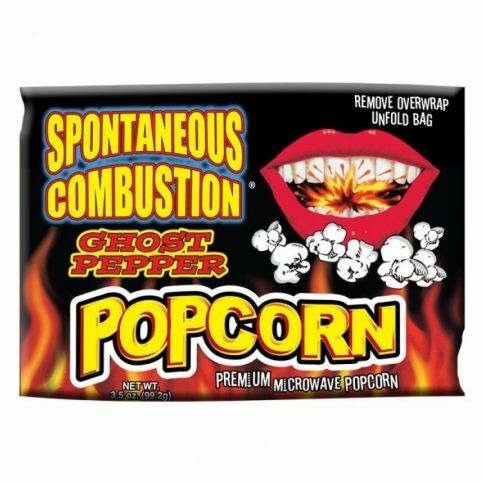 If you're a fan of spicy food and popcorn, why not combine them? 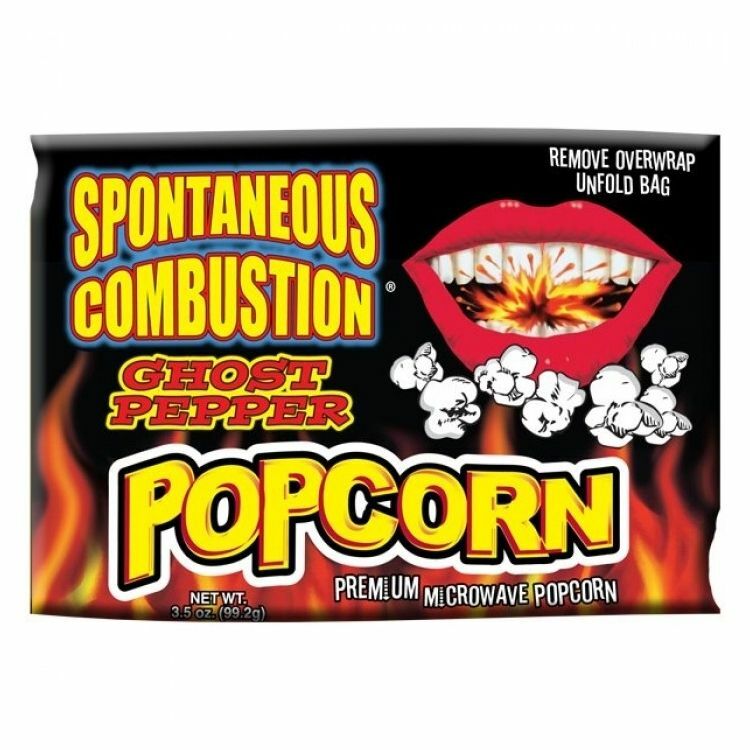 Spontaneous Combustion popcorn is spiced with Ghost pepper and has a nice kick. Throw a pouch of these to microvawe and enjoy the infernal heat that they produce.